Shaun Mehta, a freelance writer and teacher with an international MBA, lives and teaches in Toronto. Mehta earned a Creative Writing diploma from the Humber School for Writers. His short story, Amal, was first published in A Slice of Life and then adapted into a short film by Richie Mehta in 2004. Amal was subsequently developed into a feature length film, shot in New Delhi, and won many international awards. Divya, an East Indian Canadian, travels to Southern India as an exchange student where she is overwhelmed by its extraordinary beauty and ugliness, its vibrancy and hypocrisy. As Divya discovers the past that her family has desperately tried to conceal, she is faced with a daunting choice: to fulfill her role as a dutiful daughter, or to search her soul and follow her Dharma. 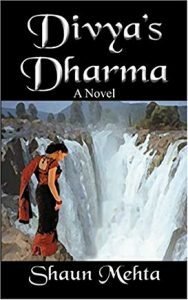 Divya’s Dharma is a story about tragedy, love, and spiritual growth. 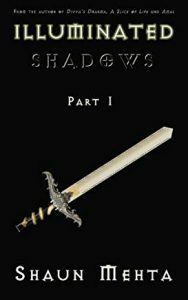 Issues such as India’s staggering poverty, appalling corruption, and the horrors of inter-caste wars are woven into a plot driven by characters and events that change Divya’s life forever. Anand Verma is a recovering alcoholic, struggling to overcome his failure as a dutiful son, husband, and father. After being abandoned by his wife to raise his possibly illegitimate child, Anand’s overbearing mother sends him to India to marry Sonia, a beautiful yet unhappy stranger whose heart belongs to another. 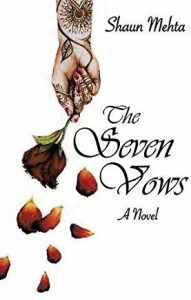 The Seven Vows is a poignant story of one man’s journey to adhere to his cultural values and navigate the complexities of love in order to find redemption, purpose, and peace. 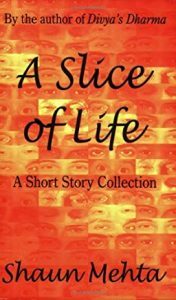 A Slice of Life reminds us that in spite of our geographical, racial, and cultural diversities, it is our emotions that collectively bind us. We all feel fear, apathy, and despair as well as courage, passion, and love. We all search for a meaningful purpose in our quest for fulfillment. From hardship to triumph, we all ride this roller coaster called life. Information on film adaptation of Mehta’s short story Amal (published in A Slice of Life) from the Poor Man’s Productions, Ltd. website. Amal was subsequently developed into a feature film.